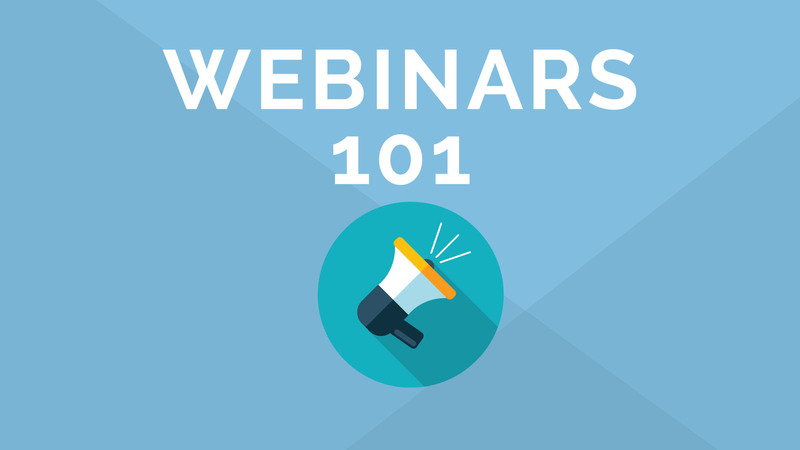 If webinars aren’t already part of your content marketing strategy, they should be. For us marketers operating in the B2B world, webinars give us a time and space to provide customers with more interactive content, as well as hear their feedback and questions in real time. And these unique aspects may just be why 66 percent of marketers believe webinars to be an effective form of B2B content marketing. However, as with any other type of content, the goal is to attract and convert more leads. And that’s where the challenge lies when it comes to creating an effective webinar. Hosting the webinar is simply not enough. You have to come in with a game plan and employ tactics that will guide your leads in the right direction toward a decision. Luckily for you, here at Act-On, we’ve learned a few tricks and tips about hosting a successful webinar to amplify your marketing efforts and increase your ROI, and today we’re sharing some of them with you. Whether you’re a seasoned pro at hosting webinars or looking for a way to shake up your content marketing, here are a few ways you can use webinars to secure and convert more leads. Exploring general topics in your content is great when you’re dealing with prospects at the top of the funnel. But when you’re in the process of nurturing leads through the buyer journey, it’s best practice to provide more personalized and targeted content each step of the way. Doing so demonstrates to your leads that you have the expertise and tools they need to solve their pain points. And the more customized the information is to your customers, the more likely they will see the value of what you have to offer them. In fact, research shows 62% of customers want content that addresses their needs and pain points. Webinars are an excellent opportunity for you to offer them that because they create a direct dialogue with your customer. There are a variety of ways you can make your webinar content more personal. For example, if you have a group of customers operating within a certain business sector, try hosting a webinar on a topic specific to that industry. Bring in experts or other customers that can offer their expertise, as well as speak to the value of your product or service. Establishing this trust and leadership will make your leads more likely to choose you when the time comes to seal the deal. Your webinar is not only a time to share tips and tricks that will benefit your leads, it’s a time to show them how you can help them solve problems they didn’t even know they had. Go beyond just an introduction to your company and give them a sneak peek of what you can do for them. To do this, start by looking at your list of attendees and pick out a few of them to highlight in your webinar presentation. Use them as examples to demonstrate the kinds of results they can expect if they become your customer. For example, if you own company that focuses on website rebranding for businesses and are hosting a webinar on “How to Use Your Website to Grow Your Business,” show attendees a few examples of the kinds of websites you’ll build for them. Let them know what changes you made, and what kind of results they can expect to see. Make sure to cite previous customer stats to back your claims. Even if you don’t convert all your webinar attendees, you’ll at least capture the attention of a few by helping them visualize how you can improve their ability to see results. Partnerships can give you a huge boost when it comes to attracting and converting more leads through a webinar. To start, it can be that your leads are already a customer and follower of your webinar partner. Because they already see your collaborator as a leader in their industry, it makes them more inclined to see the value of your business and puts you at the top of their list. Partnerships are also great because they enable you to grow your list of leads, and make you visible to an audience that wouldn’t be aware of you and what you do otherwise. You and your partner can cross-promote the webinar and each gain more customers by talking about how your products or services complement each other. You can also collaborate on promoting the content on your websites and social channels. Neil Patel notes that when registering for a webinar, your leads are more willing to share their information because they perceive this content to be of higher value. Therefore, if you aren’t already, make sure you’re making the most out of your forms so you can capture a few key insights on your leads that you can act on in the future. But don’t wait until sales gets involved to use these insights. If there’s a certain pain point that stands out, make sure to address it during the webinar. You can even send a roundup of relevant links to leads in a webinar reminder email, so they can begin becoming acquainted with what you have to offer before the event. Your webinar and any post-event interactions can also enable you to help your leads narrow down their choices, as well as put you at the top of their list before they schedule a phone call or demo. Based on the feedback and questions you receive from the webinar, use any follow up communication to send them content addressing some of their questions and feedback. Let them know you’ve listened to their pain points and have the skills and tools to improve their lives. Your webinar doesn’t have to stop making an impact once the event ends. Chances are there are plenty of leads out there who were unable to attend and will benefit from your presentation. Therefore, I recommend you record your presentation and make it available on your website and social channels as an on-demand webinar. This will benefit your leads who could not make it the first time around, as well as generate additional traffic to your website and platforms where they can continue to engage with your brand. If you want to get extra traction, and attract and convert more leads, send an email to targeted lists inviting them to view it at their convenience.